If the picture at 755 in the gallery is the (earthenware) "Carlton Cup", then the two below are 3635 vitrified Carlton Cups. Both have appropriate vitrified backstamps, the left a government issue stamp, and the right has a "6" for 1966. I bought the right hand one as part of a set of four cups and saucers. One other cup has a "7" for 1967 and two have stars in the position one expects a number to be. The saucers appear to match. 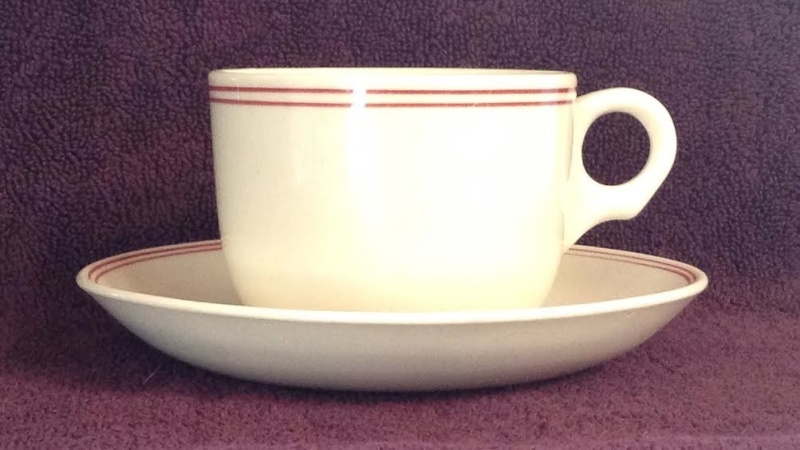 They are slightly smaller than the saucer for a tulip cup. The footrings of the cups are the same size as those of the tulips, and the wells in the saucers likewise match in size. The saucers are all marked with a star, no numbers. I can offer no shape number for the saucer. Correction: the red stripe cup has a 6 stamp indicating 1966, and the 3635 was not produced until 1979 or later so this is still a 755. The saucer is a 739, the same as for the 863 vit tulip. Later 755/3635s sat on a 4619 heavy roll edge saucer. I will gleefully add it to the Vitrified Cups Gallery! Did you notice it in the three digits Jeremy? What is driving me is the coincidence of my acquisitions with your posting descriptions in the gallery where there are no pictures. The way you have done it works brilliantly. Publishing the descriptions like that is effectively allowing us access to the notes you have made during your many hours of museum library research. 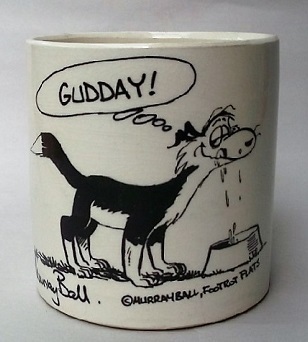 I thought there was a gallery pic for an earthenware Carlton cup but cannot find it. Such a cup has appeared on tm, but I see we also have an earlier (in the yellow Ambrico body) one on forum courtesy of Gloworm. The size is not apparent in gloworm's pic so it may be bigger but it's silhouette appears to be the same as bazzz's example and the standard vit Carlton cups. 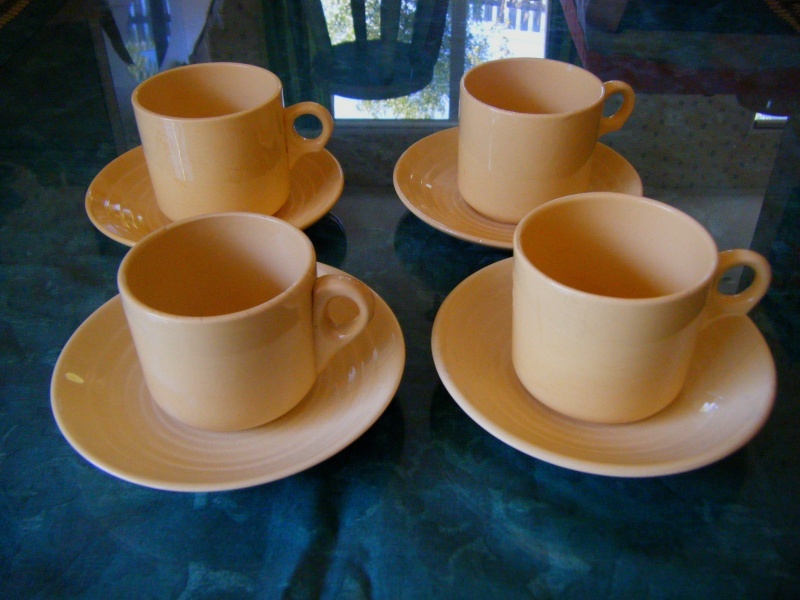 The Carlton cup has a history that must surely parallel that of the iconic NZR Railway cup in longevity, with the first examples in straw-coloured earthenware followed by fully formed earthenware and vitrified examples (Crown Lynn single star) in the mid-1950s, and an update of the vitrified shape as late as 1979. The first example comes from gloworm's topic on early Ambrico marks. 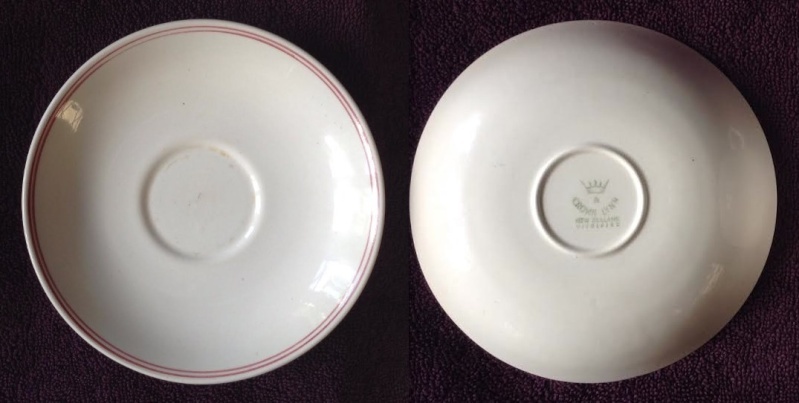 Although only one Paris saucer shown in the photo actually bears the earliest known Ambrico stamp "made in nz" in describing a circle, with no border dated as "early 1940s", there can be little doubt that the cups shown come from the same period of Ambrico history. (I would have to check with Gloworm to see if the cups have any mark at all.) Three of the cups shown have the familiar Carlton cup handle, the fourth a slightly heavier block handle that [presages] those of the tall hotel cup of the 1960s (3610, 18.3.64). 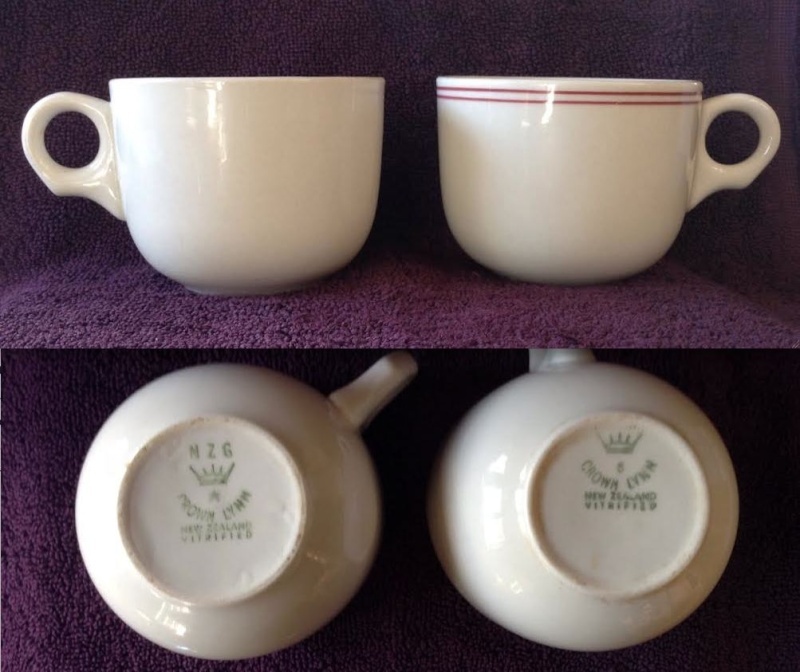 Next is the earthenware 1950s cup bearing the Kelston British mark. These descriptions are from the Crown Lynn Shape Guide records, not my notes. I've written them verbatim, as I want them to be as accurate as possible. There are also pages and pages of drawings with numbers. I only have a few of these and must go back to the Museum to get the rest. There are still 4 more Galleries to add descriptions to, but it's going well.